With the closure of Maya Bay to tourists visiting Phi Phi Island to protect the environment from damage this a good question to ask about James Bond Island - is it also closed? Both locations became famous due to blockbuster movies being filmed with Roger Moore starring as James Bond in the excellent “Man With The Golden Gun” at Phang Nga Bay and Leonardo DiCaprio starring in the awful but very scenic “The Beach” at Maya Bay. The main island where Britt Ekland was held hostage by Francisco Scaramanga is Khao Phing Kan and this remains open for business while the “mushroom shaped” island known as Koh Tapu (where the laser was hidden) has been off limits to tourists for the best part of two decades. This is to minimise the impact of erosion on the limestone islet and maintain it for future generations. So,, yes, you can still visit the main island, take your selfies, splash around in the water, pretend to kill a midget called Nik Nak or seduce your very own Ms. Goodnight but do be mindful of the local environment and don’t leave a mess behind. Have a great time visiting James Bond Island! How to get to James Bond Island? Was a Castle built on James Bond Island by an Irish Billionaire during the global property boom? 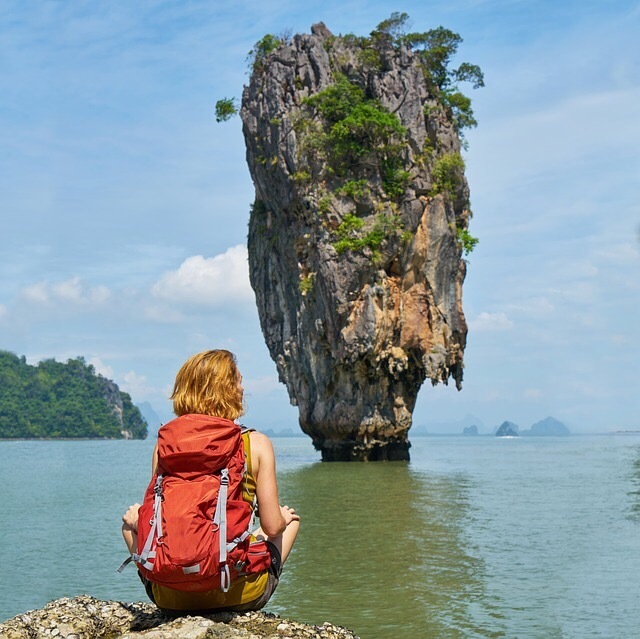 What's the Best James Bond Island Sea Canoe Tour Itinerary and Deal? Why are James Bond Island Tours so Popular? Copyright 2006 to 2019 of JamesBondIsland.Com. Simple theme. Powered by Blogger.